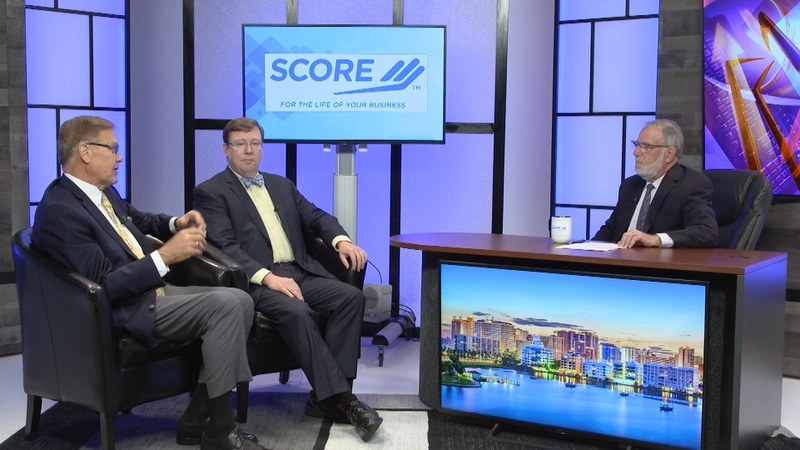 Welcome to SCORE business TV. In this series, experts share their opinion with business owners on a variety of topics. SCORE is a 55-year-old nationwide nonprofit organization providing free mentoring services to business owners. Today's topic is a continuation of the one we began in our last episode, The 10-step business sales process. We previously covered steps one through five. Today, we'll conclude with steps six through ten. Each step will be explored with experts in a free-flowing dialogue. This is a must-watch video for anyone that is in the market looking to sell a small business now, or in the next few years. Let's quickly list the first five steps. Step one was arrange for a professional or intermediary to represent you. Step two is conduct an in-depth review of the business, including financials, leases, contracts, assets and liabilities. Step three, obtain a business valuation. And step four, prepare a business prospectus. Step five was develop a marketing strategy. Where a seller should list their business. Who other likely buyers might be. Reaching out to CPA’s, Attorneys and Bankers for buyer referrals. What a seller will typically pay in commissions. Why you should qualify prospective buyers. Why it’s important to know the industry experience of the buyer. The importance of doing a background check to vet buyers. Reasons for having a Non-Disclosure Agreement (NDA) in place before discussions ensue. When and where you should meet a prospective buyer. Why all offers should be in writing. What lock-up periods and no-shop clauses mean. How to get multiple offers and create a bidding war to drive up the price. How to negotiate and accept an offer. How deal structure can vary. Advantages and disadvantages of retaining or transferring accounts receivable. How to value aging receivables. The significance of an earnout. The benefits of an installment sale. When to expect to receive a letter of Intent (LOI). What the due diligence process is. The expectation of a good faith deposit. Closing the deal without complications. When to talk to the landlord about lease assignment. The importance of having the finances lined up. “Well, you certainly don't want the advertising of your business for sale to be so easily recognizable that people in your company know that the company is for sale. In only very rare cases would you want your staff and employees to know that you're selling the company. It's best not to do that, not to make that known until quite far along in the process. Now, it may be necessary to tell your CFO, for example, and your top salesperson, perhaps, but you certainly don't want it to be common knowledge,” said Matt LaPointe, (attorney with Blalock Walters). “Reaching out to CPAs and business lawyers like myself is often a good idea. CPAs and business lawyers often know of companies that are on an acquisition mode and are looking for companies. All of those outlets are good places to look. A good business broker or investment banker will also have their own list of people who they know are in the market or looking for investments and stuff like that. There’s really quite a few options,” added LaPointe. “Few things are as exciting as getting an offer for something. If you get an offer, you're excited because you put all this work into this. Now someone actually recognizes that what you're offering is worth buying. There's a great tendency to shortcut everything because of that offer. Not to really recognize what is required of that person making the offer. It's very easy to forget in the excitement of it all, that you're really getting someone to apply for a job to work in your business,” said Peter Gruits. “You really need to ask questions about the availability of cash. How are you going to pay for this? Do you have some evidence to point to me where I can see whether or not you're qualified? What have you done that would qualify you to take over this business? How is your experience going to make this business grow? Those are fundamental questions that have to be asked, either by your broker or by the seller. That's part of the qualifying process,” Gruits added.